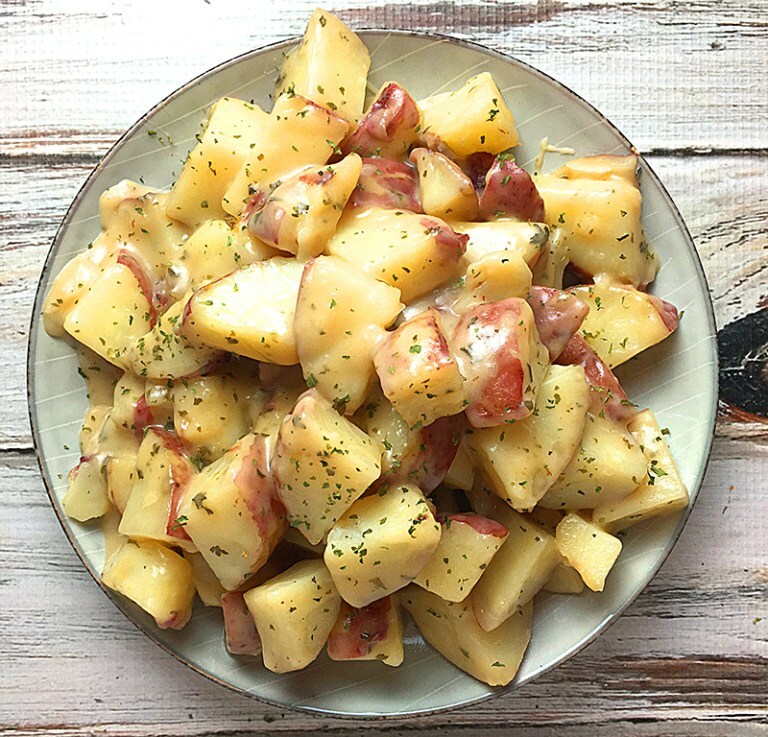 Your Instant Pot pressure cooker is perfect for making this quick and easy Parmesan Ranch potatoes recipe. You only need a few simple ingredients and a handful of potatoes and you’re ready to make the tastiest, cheesiest potatoes that everyone will love. The flavors of Parmesan cheese and ranch seasoning go perfectly together. 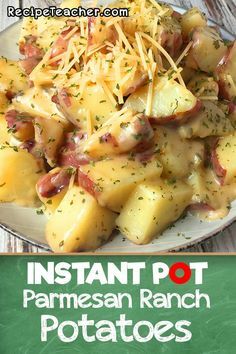 And making potatoes in your Instant Pot couldn’t be easier. I love the flavor of red potatoes. They’re also a bit sturdier than regular Idaho or russet potatoes, though both are excellent too. I always like to leave the skins on my red potatoes because they taste so good! Add Parmesan cheese, ¼ cup at a time stir until melted. Repeat until all cheese is used. 0 Response to "RANCH POTATOES WITH PARMESAN FROM AN INSTANT POT"